Although I have traditionally not been a big fan of the colour pink in the garden, I confess that I was immediately drawn to Anemone hupehensis ‘Pretty Lady Diana’ when I first saw it at Blooms of Bressingham in England two years ago. I was taken by the vivid blossom colour (which I now like very much), the quantity of bloom on each and every plant and the clean compact growth habit. This new cultivar is noted both for its prolific late season of bloom and natural compact size, only growing to about 16” tall with a spread of about 20”. 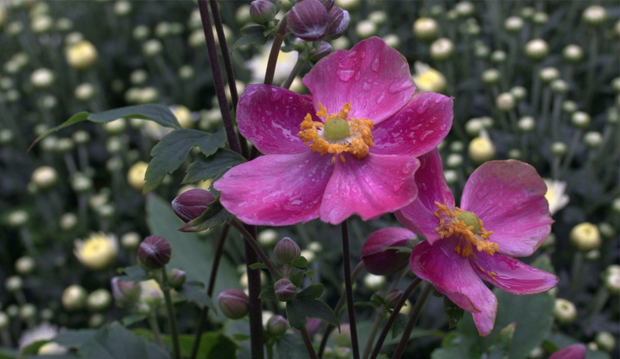 Well, this new anemone quickly became a must-have plant and I was determined to add it to our gardens at the Toronto Botanical Garden. 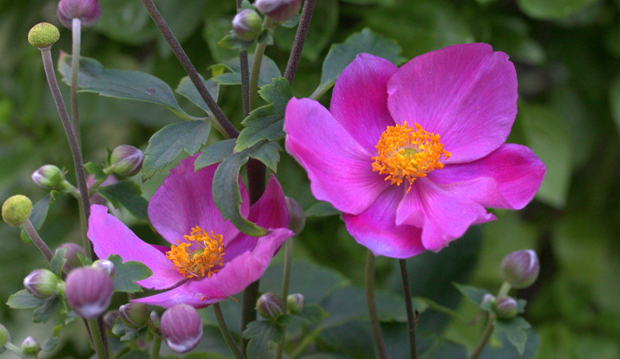 The dream has recently become a reality and A. hupehenis ‘Pretty Lady Diana’ is one of the many different types of anemones blooming in the garden. We were also able to secure a few extra plants plus another new selection in the series called A. ‘Pretty Lady Emily’. Both will be available the evening of Wednesday, September 25, the final evening of our Garden Open Series. Some fortunate attendee who buys a ticket to the plant dash will have the opportunity to win a collection of multiple late blooming perennials that includes this and other exciting new and choice perennials and shrubs. Every Plant Dash ticket is a winner as all ticket holders will have the opportunity to selected one of the numerous tempting plant packages that are carefully being assembled from growers in southern Ontario. Proceeds from this evening’s event will go directly to help support the maintenance of the TBG gardens.